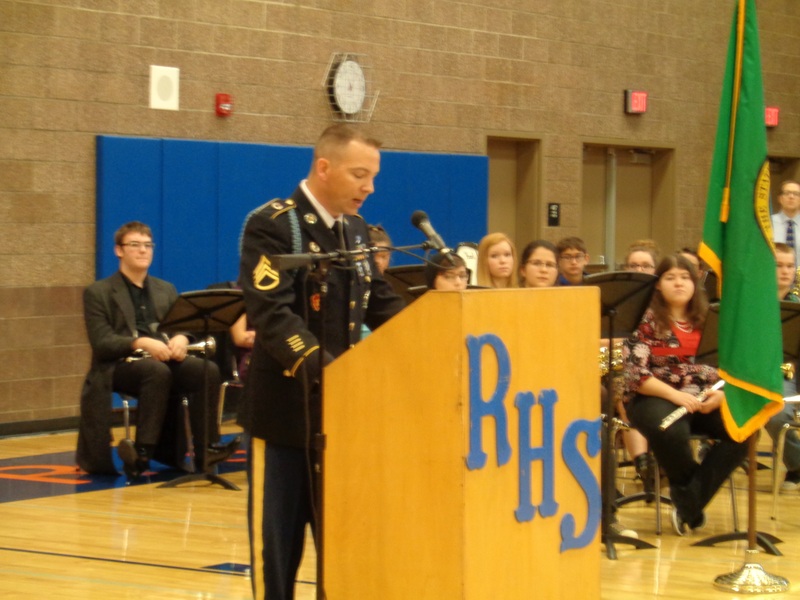 Students and staff in the Ridgefield School District set time aside from regular school activities in recent days to commemorate Veterans Day at special assemblies. Each school welcomed veterans and members of the military attending the celebrations, which were held at each school. 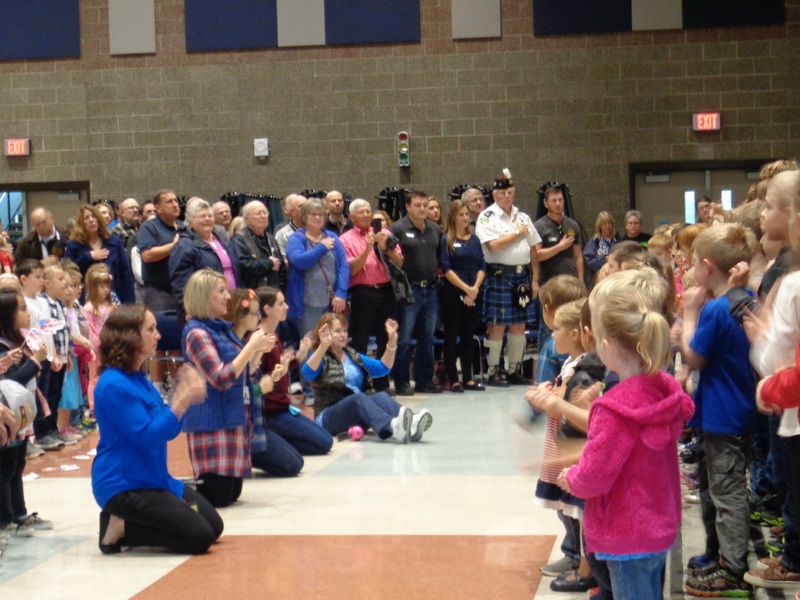 At Union Ridge Elementary School’s assembly on Wednesday, November 9, students from each grade level performed for parents, staff, veterans and active-duty members of the military. Fifth-grader, Kennadi Jones, started the assembly by singing the “Star Spangled Banner.” Kindergarteners performed the “Pledge of Allegiance” in sign language, and each grade level followed with special performances--patriotic songs, student reflections about Veterans Day, and presentations of donations, thank you notes, flowers and cards—for the appreciative crowd of veterans. Next door, just moments later at View Ridge Middle School, students were gathering in the gym for their assembly. After a performance of “America the Beautiful” by the school choir, there was a short presentation by Principal Tony Smith. Students enjoyed a short skit presented by their classmates, then watched a video created by the student leadership group showing students and staff talking about their relatives who are veterans. 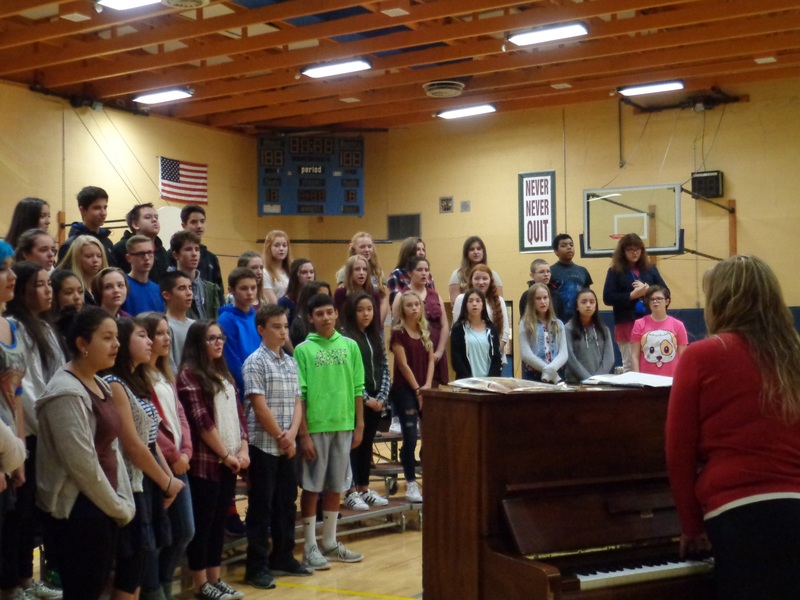 Michelle Hankins, View Ridge Middle School’s ASB Advisor, commented on the collaborative effort by the ASB and the choir. “It was great to see how so many different people contributed to making the assembly a success,” she said. 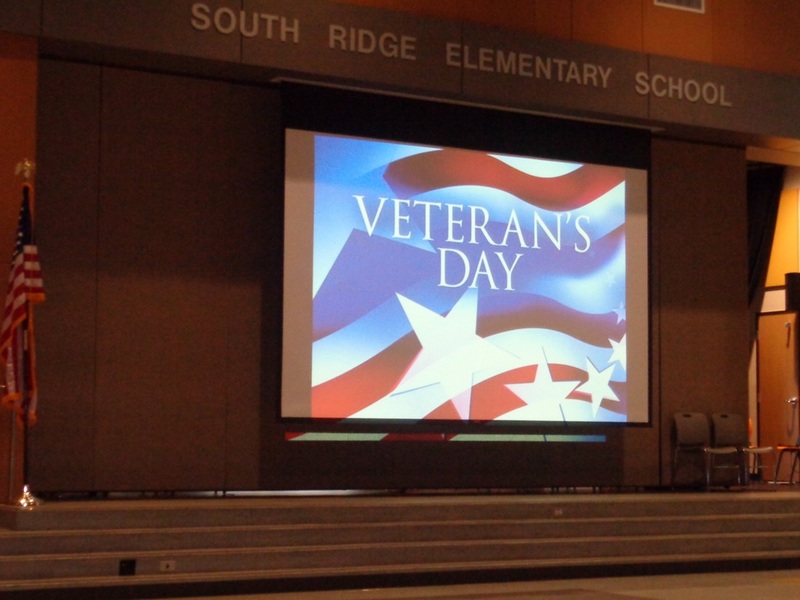 South Ridge Elementary School held their Veterans Day assembly on Monday, November 14. 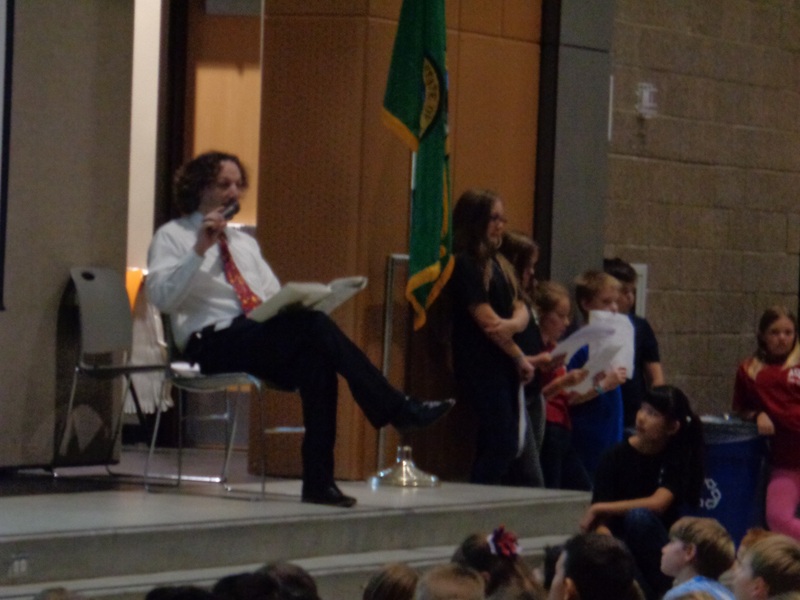 To convey the meaning of remembering loved ones lost while serving in the military, Principal, Todd Graves, read the students a story entitled “The Wall” by Eve Bunting, in which a child reflects on his visit to the Vietnam War Memorial where his grandfather is honored. In keeping with the school’s ASB-led program to celebrate a different character trait each month, South Ridge Elementary also took the opportunity during the assembly to recognize classes that displayed the best example of resilience, the character trait for November. Resilience tied in well with Veterans Day, as it is demonstrated by veterans’ readjustment to normal life when returning home to family and friends.